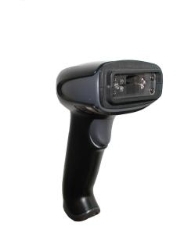 InData Systems offers Xenon UV Barcode Scanners in both corded and cordless versions. Meet your security scanning needs with this new affordable scanner with built in UV Optic. An all in one solution, this self contained scanner provides all of the benefits and features of an interchangeable scanner at an affordable price. 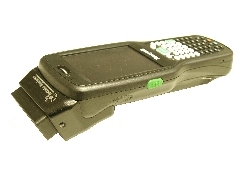 InData Systems LDS1000 is one of the smallest Bluetooth scanners but one that is capable of scanning "Invisible" bar codes and conveying that information to any mobile device such as a Cell Phone, tablet or mobile computer. Mobile data collection of hidden marked items such as tax revenue stamps, passports, pharmaceutical drugs and other covertly marked items can be linked to cellular databases to assure that counterfeit items or improperly diverted high end brand items are quickly identified to keep assurances of revenues and credibility for brand owners. 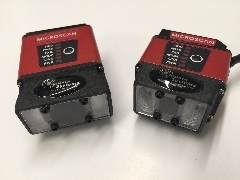 Developed for speed and accuracy in covert barcode reading, the InData Systems UV MicroHAWK 30 and 40 are high performance fixed mount direct part mark (DPM) reader designed specifically to provide a low cost scanning solution for decoding fluorescing covert marks.Offered with a browser based smart camera tool, the InData Systems UV MicroHAWK installation and operation is fast and easy. The simple interface, advanced programming controls, and optional built in symbol quality verification make the UV MicroHAWK series a flexible and powerful reader. InData Systems' LDS 6500 Portable Terminal is a lightweight and versatile mobile computer that provides advanced data collection and real time wireless communication as well as the ability to 'read what others cannot see', using InData Systems' patented covert Light Delivery System. 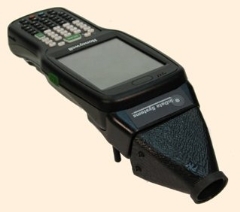 has all the features and benefits of the portable terminal plus the capability to see and decode invisible barcodes and capture invisible images. The LDS 6500 is offered with an interchangeable optic or as a self contained model. 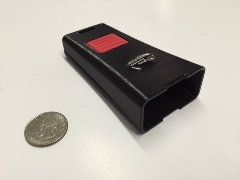 InData Systems also offers a miniature UV "Keychain" 375nm flashlight used by many companies toverify the presence of a fluorescing toner or ink mark on an object. Click HERE for a brochure on our UV 375nm keychain Flashlight.